The problem is that NewtonSoft (used under the hood by Nest) will start serializing “The Greatest Book”, and recurses through all properties. In the end it’ll try to serialize “The Greatest Book” again as part of “Richard Roe”‘s AuthoredBooks property. NestUtil.Client.Value.DeleteIndex(i => i.Index(indexName)); // Ignore result. This will create a document in Elasticsearch of a whopping 71 KB / 1364 lines, see this example JSON file. Not so good. Mapping by code. This would seemingly allow me to keep using domain object classes for persistance, having the “Mappings” in code as a strategy for the transformation in separate files. At this point though I’m unsure if this approach will “hold up” once you start adding more complex properties and logic to domain objects. Elasticsearch can be seen as a NoSQL database, more specifically as a document database. I’ll be using my Bieb pet project (or at least its domain) for testing its features. Bieb’s domain should be familiar to everyone: books! A Book has multiple Authors (of type Person). A Person has authored mulitple Books. The classic many-to-many relationship example. The challenge then obviously is how to express this in the various tools. As you can see, the Book is the “main” entity and the “boss” of the relationship with authors. Apart from the virtual keyword everywhere, little to no SQL or NHibernate know-how leaked into this domain. The important bit, and the link to Elasticsearch, is the inverse="true" bit. With NHibernate, you have to indicate which entity is “in charge” of updating the many-to-many table. With document databases you have to do the same thing. Newtonsoft.Json.JsonSerializationException : Self referencing loop detected with type ‘Bieb.Domain.Entities.Book’. 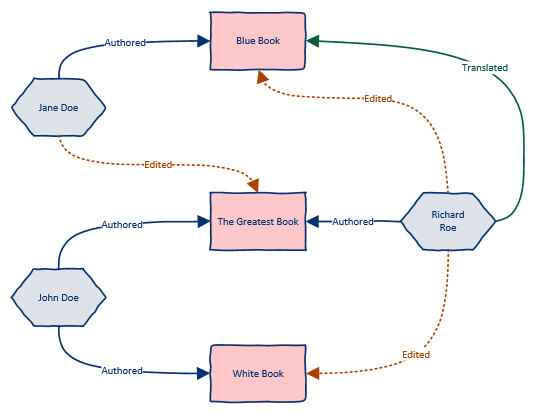 Path ‘allAuthors.authoredBooks’. A problem that was to be expected. With SQL self-referencing loops are just fine, handled by the many-to-many table. In NHibernate it’s a minor nuisance, simply handled by the inverse="true" bit. However, with document databases this is somewhat less trivial, in my opinion. In fact, it may be the hardest part of using them: how do you design your documents? However, I don’t want to hard-code the loop-break into my domain object, e.g. 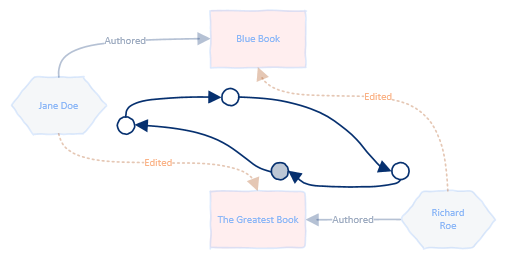 by marking AuthoredBooks as not-serializable. The first and foremost reason is that this would mean my storage layer leaks into my domain layer. The second reason is that I may want to break the loop at different places depending on the Elasticsearch index I’m targeting. That is, I’ll probably have an index for Authors as well as Books, and want to break the loop in different places on either occasion. So some questions remain. How could we do this with JSON.Net without altering the domain layer? Or is there a way to do this with Elasticsearch + Nest? Or should we bite the bullet and have a seperate set of DTO’s to/from our domain entities to represent how they’re persisted in Elasticsearch? Or do we need a different approach alltogether? Good questions. Time to go and find out!